It looks like Marty Caffrey is moving on with his life after a bitter divorce battle with Real Housewives of New Jersey star, Danielle Staub . 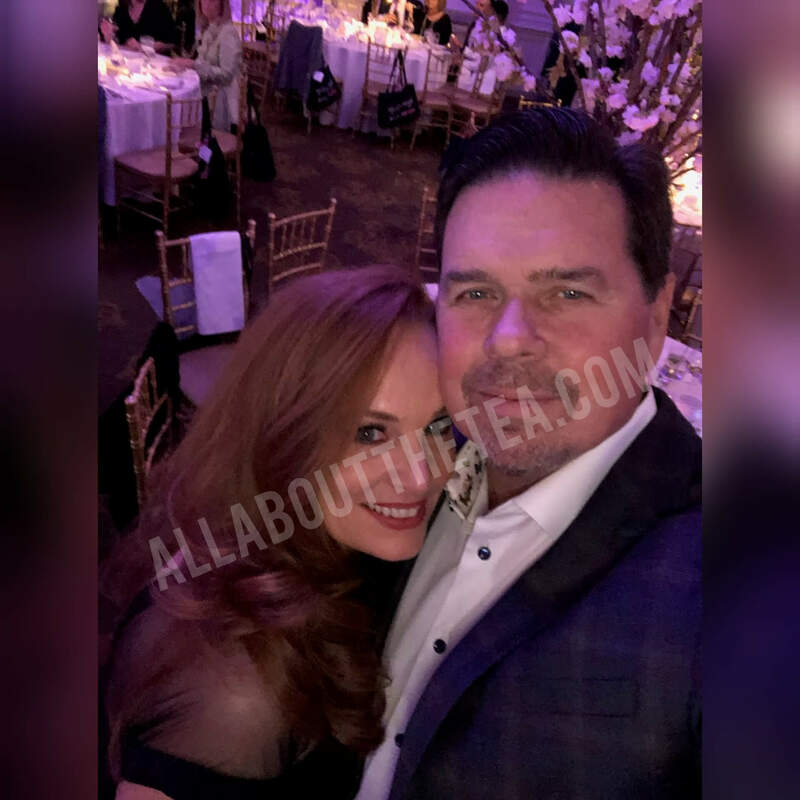 AllAboutTheTEA.com can confirm that the former Househusband has found love again with Annette Naif, a New Jersey Event Strategist and Producer. AllAboutTheTEA.com got exclusive details of the budding romance from Marty Caffrey. The couple met at Office Lounge at the Mandarin Oriental on Columbus Circle, in New York City. And we’re told Caffrey is quite “smitten,” by the redhead bombshell. “It’s going well but it’s very early.” Caffrey explained to AllAboutTheTEA.com. Caffrey’s new romance comes after the 66-year-old divorced his ex-wife, Danielle Staub after 4-months of marriage in September 2018. On April 4, Marty and Annette enjoyed a double date with Danielle Staub’s enemy, Margaret Josephs and her husband, Joe Benigno at the Rockleigh Country Club. The “Fashion with Compassion” gala fundraiser was hosted by Real Housewives of New Jersey star, Dolores Catania — a charity event to benefit St. Joseph’s Children’s Hospital. An insider told AllAboutTheTEA.com, “Annette is loved amongst her peers.” She’s the owner/operator of Naif Productions. EXCLUSIVE: Danielle Staub’s Wedding Sham Exposed — Gina Curko Breaks Her Silence to All About the Tea! Danielle Staub moved on as well — four days after her divorce was final, she got engaged to German businessman, Oliver Maier. However, Staub and Maier’s altar run was a bust and the couple quickly broke up after it was revealed that Staub was allegedly drugging Maier and abusing his credit cards. As reported, Danielle stole Maier’s heart away from her best friend, Gina Curko, and after a steamy Instagram reveal, the couple announced their engagement. The Real Housewives of New Jersey is currently filming season 10 — however, Dolores Catania’s charity event was not filmed for the Bravo reality series.